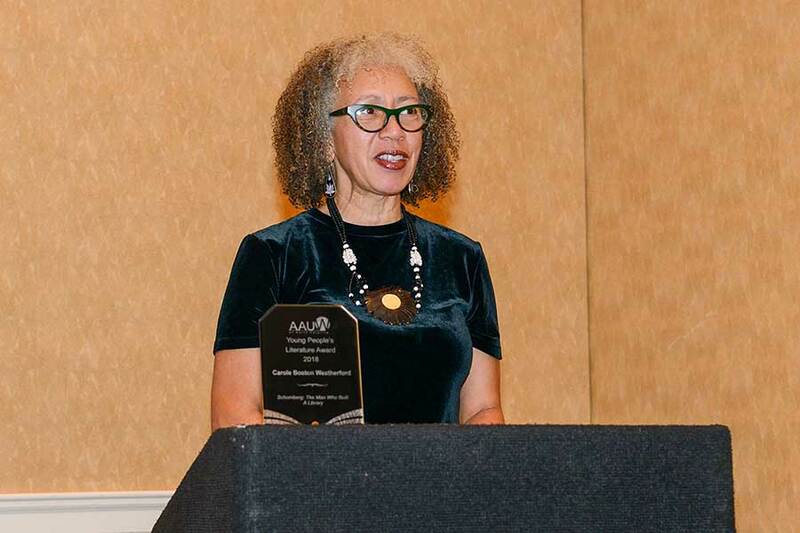 Since 1953, AAUW of North Carolina has partnered with the NC Literary and Historical Association to present an award in recognition of the most significant work of original juvenile literature published over the course of the last year by a North Carolina author. 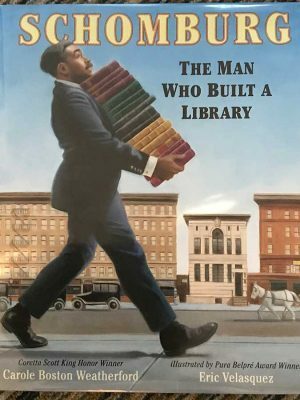 This year the 65th AAUW NC award was presented, in collaboration with the NC Literary and Historical Society, to Carole Boston Weatherford for her book Shomburg, The Man Who Built a Library. Carole has written more than two dozen children’s books. Remarkably, she is receiving the AAUW NC award for the third time. She is also a poet, currently working as a professor of English at Fayetteville State University. We hope you’re looking forward to meeting her and getting her book for your community library at the Annual Conference in March.